We have actually had the Graco Metro Stroller for a couple of months now. And I really wanted to put it to the test, because there’s just no sense to me doing a review otherwise. Now, before I begin, when I first became pregnant, I simply could not afford to buy Bill everything brand new. Which was absolutely fine, because secondhand items are brilliant and save you lots of money. But that meant I didn’t have any experience of testing items out or picking the one that was best for me. The travel system I had did the job, but it was quite old and systems have been made much more compact since then. So my main issues were that it was heavy, very big and a struggle to fit in the car, and didn’t have much space for things like changing bags or shopping. As such we moved on to a second-hand stroller as soon as Bill was big enough, so I could get about a bit more easily. I have owned other strollers since, but I have absolutely fallen in love with the Graco Metro Stroller and it’s something I’m planning to keep for baby number two. Especially as it is suitable to use from birth, and can be made into a travel system, when using a compatible car seat. First up, it’s beautiful. The black chassis and the monochrome print on the hood and other details make it stunning to look at. I love that it stands out from the crowd and Graco earns points for recognising that monochrome is definitely having a moment. When it arrived and I assembled it (more on that later) Bill was so excited. It looks striking and he seems to be quite the stroller addict as he would rather go for a stroll in this than take the car or walk. I also like that the fabric is easy-to-clean – which was really useful when we took the stroller to Wales with us, where Bill had several ice creams. So, in terms of assembly, it came in two parts – the chassis and the seat, along with a hood and a rain-cover. And it was so simple to slot together. I made the mistake of doing it upstairs in our bedroom. I don’t quite know why, and I panicked thinking that I would struggle to get it down the stairs, but it was so easy to dismantle, with one hand, using the clip on the handle, which you can see in the very first photograph above. I carried it down with one hand, easily. The Graco Metro is incredibly light and I love that I can quickly fling it in the boot, where it doesn’t take up too much space and collapses into a compact shape, rather than having bits sticking out all over the place. It’s lightness, which, by no means compromises how robust it is, means that a certain little boy can easily push it around. Even when it is laden down with bags, with Teddy in the front seat. The ease that you can push it with means that you don’t need to put too much effort in – and the wheels, which can be locked or flexible, handle the ground really well. This buggy has handled, pavements, pathways, fields, hills and sand and did it easily. We didn’t have too much struggle and the plastic wheels mean you’re not ever going to encounter a puncture as you might with the inflated kind. As you can see in the photograph above – just look at the size of that basket! In there, we have a changing bag and a full picnic, and some towels for the beach. It’s incredibly well-made too, so shows no weak spots or areas where the basket might rip or tear over time. This is a bonus for me as I can tuck my shopping out of the way and not having it banging my knees as it dangles precariously on the handles instead. Another thing I wanted to get on to is the general size and how practical it is. I have a three year-old who is taller than average, yet quite slender, and he fits in the stroller beautifully. But at no point do you think that it’s too bulky to move around in busy environments. Like a decent car, it’s very deceptive with its space and none of it is wasted. The seat is wide enough to be comfortable, without being hard to navigate through narrow spaces, and this is namely due to the great design. The seat also reclines, which is perfect for your newborn if you have one (I can’t wait to have a tiny newborn again), or if your toddler wants a nap. But it also seats upright, with a protective bar (great to attach toys to), as well as an adjustable harness strap and calf rest too. An extra point worth adding is that Mark was really happy to push it around. He finds some buggies or strollers a little bit too feminine. And while it would never stop him pushing something pink around, he just really liked the design. While the handle bar is not adjustable – one future consideration maybe – it is well-positioned for both of us to use without any problems. 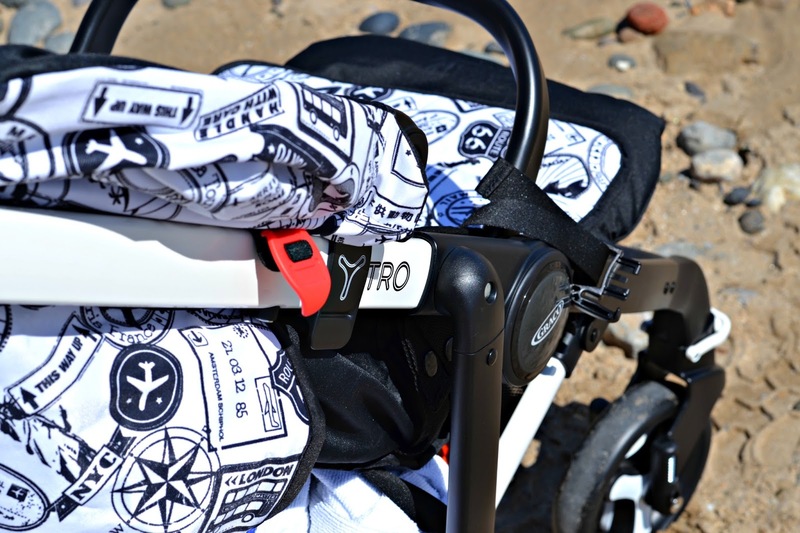 The foot break works really well and isn’t too hard to action or release, and actually does a good job of keeping the stroller stationary. The hood is also fantastic and handles wind and rain very well, with the addition of a well-made rain-cover, as well as looking very attractive – I’ve had a fair few comments on how lovely it is. Now, that was our experience with a three year-old, and we have already decided that we will definitely be using this with our second, when we decide to have another, because we just love the way it moves and works. Overall, we absolutely love the Graco Metro Stroller and we’d recommend it hands-down, especially if you need a second stroller for grandparents or your budget doesn’t stretch to one of the more expensive travel systems or buggies that cost a lot more. You won’t be compromising in value and it gets my seal of approval anyway. 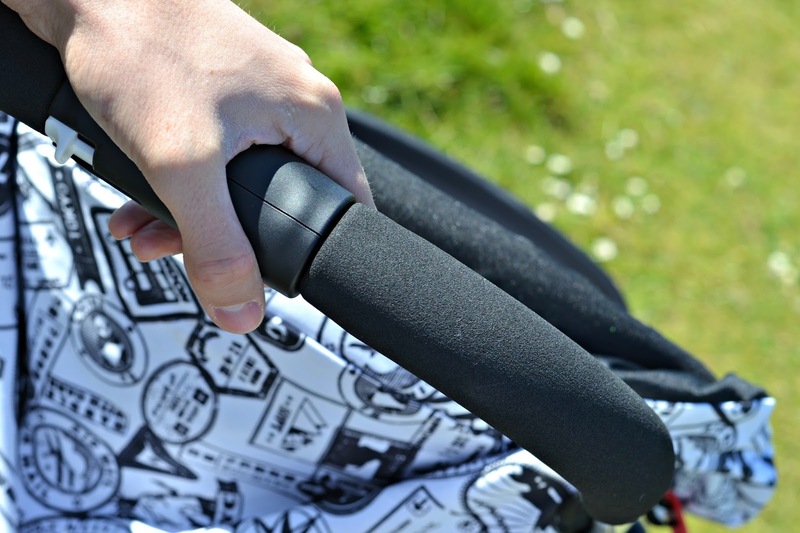 You can buy this special addition version of the Graco Metro Stroller at Mothercare for £229.99, where other reviews are just as positive as this one! Big thank you to Graco for giving us such a brilliant stroller to use! I've ordered one.it looks fab. Hope it's worth the wait. I have Icandy Apple but just way to heavy. Hope this is going to solve my issues lol. Graco metro stroller is such an outstanding stroller. It looks striking and he seems to be quite the stroller addict as he would rather go for a stroll in this than take the car or walk. It’s very effective you’re your budget doesn't stretch to one of the more expensive travel systems or buggies that cost a lot more. Can you write a review on Dream On Me Violet 7 in 1 Convertible Life Style Crib I really like your informative product review writing. Very detailed and thoroughly reviewed. Thank for sharing. The scenario is beautiful.